Sending humans to Mars involves deep space missions that could last months, but shipping material there is costly; the price of transporting 1kg on Earth increases by a factor of 100 on a Martian mission. If the ultimate goal is to establish a long-term base on Mars, we'll need make use of materials found on humanity's greatest ever voyage. 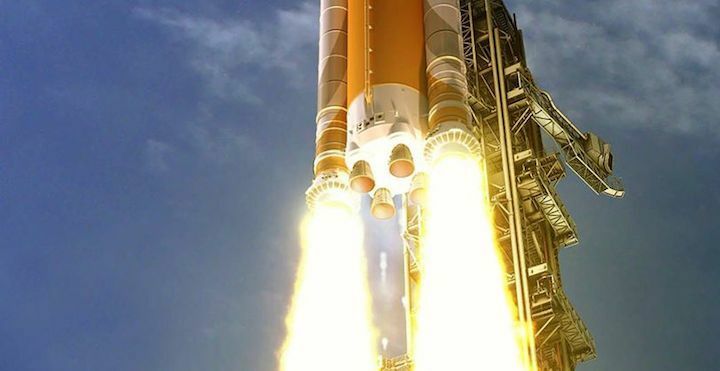 Nasa has a target to send humans to Mars by the 2030s. Since 2012, the space agency has dedicated a branch of its research to what it calls In Situ Resource Utilisation (ISRU), with researchers working to find the best ways to produce one of the most crucial resources for space travel – rocket fuel. The ingredients are simple: you need fuel and an oxidiser. When the two are mixed, they burn and produce gas shooting out in one direction, which fires the rocket in the other – all thanks to Newton's third law. Paul van Susante, senior lecturer in engineering at Michigan Tech University, has studied how to mine these resources on our neighbouring planet. “Space mining, on any target or destination such as asteroids, moon or Mars, provides leverage,” van Susante says. “This means that instead of bringing it from Earth, with corresponding large amounts of fuel to get it into orbit, you can get it once in space." It's not quite that simple, though. You still need power; local resources in the form of gases, liquids and solids that you can extract fuel and or oxidiser form; and reliable machines to extract, purify, transfer and store it. Liquid methane could be used as the fuel, produced from carbon dioxide and water found on Mars. Water could also be used to extract oxygen, which would be used for the oxidiser. In a Nasa study published in April 2016, van Susante and colleagues scoped-out how to get water and use it on Mars. As part of that study, they found several candidate resources: “garden variety” regolith, hydrated minerals, and buried ice in the form of old glaciers. To get water from the minerals, you could scoop up the small grains or break up cemented or rock material and then scoop it up. After scooping it up you would have to transfer it to a processing unit that would then extract the water by heating up the material. The water would have to be purified and electrolysed and then used in other processes to create methane and store it. Oxygen can also be captured from the atmosphere in the form of carbon dioxide, a version of which is planned for the next Mars rover.